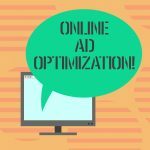 With the drastic change in online marketing and PPC becoming the major player in this present spectrum, the future of the digital world looks bright. PPC, which alternatively known as Pay-Per-Click, is the digital marketing model in which the advertiser has to pay to the publisher on the click of the display advertisements. This mechanism is quite popular among the marketers as it enables them to reach their goal at ease. 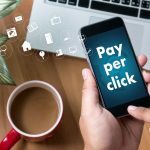 While talking of its benefits, here are some the plus points of Pay-Per-Click (PPC) Advertising that would definitely surprise you. This is one of the most sought-after reasons why online markers opt to PPC marketing. It enables the firm reaching its potential goal faster at ease devoid of any complexities. The goals could range from making the brand exposed to a new market to targeting a new set of customers at different geography. This marketing mechanism can act as a gantry between the customers and reaching the final business goal i.e Conversion. The intermediary process is get assisted by this tool. There are certain factors the audience always look while purchasing a product online. Starting with the authenticity of the product to a good website landing page, this advertising model takes care of all. And with the combination of all, it leads the customers to the website and eventually turning him into a potential prospect. 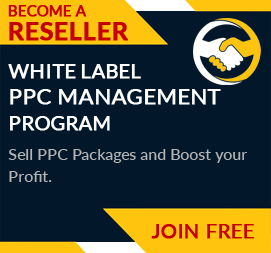 It does not matter how botched up your marketing strategy is or how far you are from your concerned business goal, with PPC you can get your business back on track quickly. This online marketing model is different from other forms, which take a considerable amount of time to deliver the expected outcome. In email marketing, you can reach the customers who are nowhere related to your niche category. Exactly the same things take place in PPC as well where you can target new ground or new base of customers with effective advertisements. PPC can work well with other forms of digital marketing like SEO. And in Search Engine Optimization (SEO), contents are a role to play. This is otherwise known as content marketing. And apart from that, the keywords analysis and on-page optimization are contributing to the SEO also. For this, some of the tools offered by Google like Search Console, Analytics, Keyword Planner are being used. However, PPC and SEO can work together pull out the desired result for the business firm. Google Ads is the tool that has use in both SEO and PPC. Advertisers do a thorough research on marketing options before implementing it to the display advertisement. The brand exposure that your product need depends upon a number of factors. Targeting appropriate keywords, right demography and geography are some of the facets need to be taken care of. By targeting these, you can increase the chances of making the most out of this mode of online marketing. The biggest advantage could be to reach out the customer base who are previously not in your radar or even heard about your services. 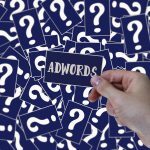 As there are a lot of data available in the marketing tools like Google Ads, it becomes a convenient way of devising the marketing strategy. These factors go beyond your Pay-Per-Click (PPC) performance. Apart from that, the other tools like Google keyword planner used to extract the relevant keywords that would help in making the audiences reaching the right search destination. 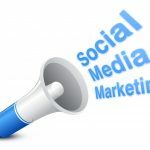 If you opt for other channels to run your marketing campaigns, there are other several factors to deal with. However, in PPC with default campaign setting, the nuances get addressed. You can customize your campaign as per the need of customers. Most importantly it is quite cost-effective as well. Any time if you feel like opting out of running the campaign, you could do so. And moving on to the conversion part, you can also keep track of what works best and devise strategy accordingly.